Close Up Of A Man Shopping Online Using Laptop With Credit Card,male Hands Holding Credit Card Typing Numbers On Computer Keyboard While Sitting At Home At The Wooden Table,selective Focus And Vintage Color. Banco De Imagens Royalty Free, Ilustrações, Imagens E Banco De Imagens.. Image 56084143. 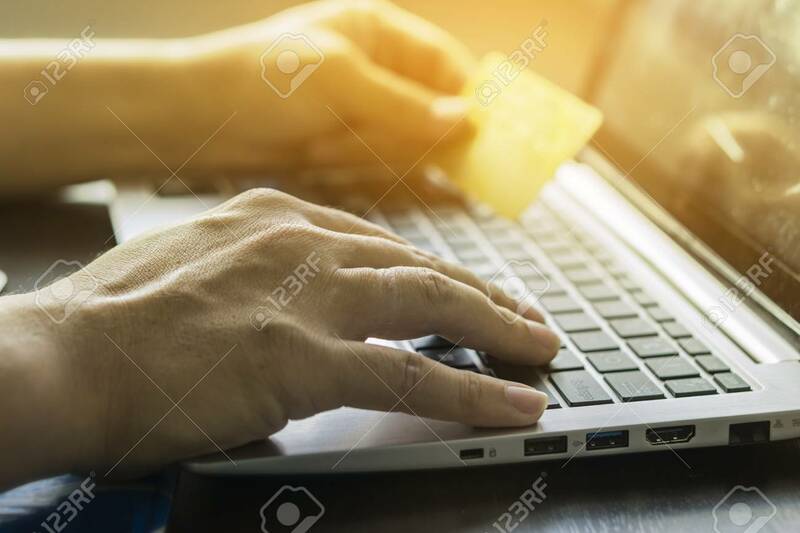 Imagens - Close Up Of A Man Shopping Online Using Laptop With Credit Card,male hands holding credit card typing numbers on computer keyboard while sitting at home at the wooden table,selective focus and vintage color. Close Up Of A Man Shopping Online Using Laptop With Credit Card,male hands holding credit card typing numbers on computer keyboard while sitting at home at the wooden table,selective focus and vintage color.